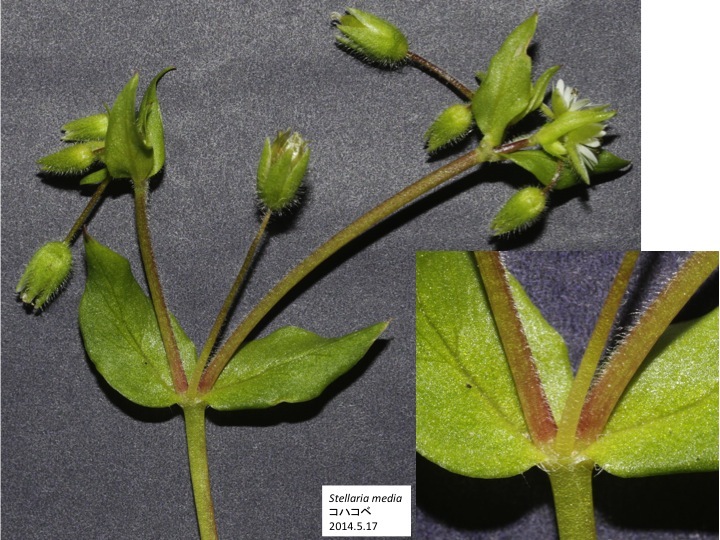 A shoot of Stellaria aquatic terminates with a flower and primary paraclades are formed at the axils of uppermost leaves. Then the 1st paraclades form a pair of leaves and terminate with a flower. Secondary paraclades are formed at the axils of the first paraclade leaves. As a result, a cyme is formed. 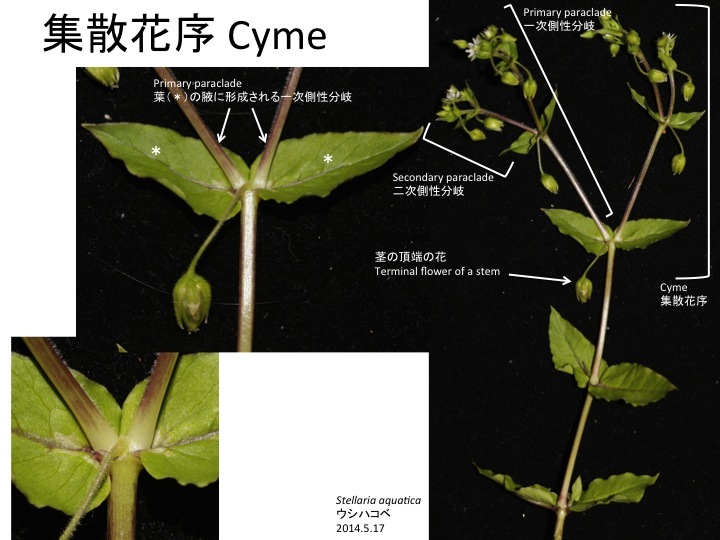 Stellaria mudia forms a cyme as S. aquatica.